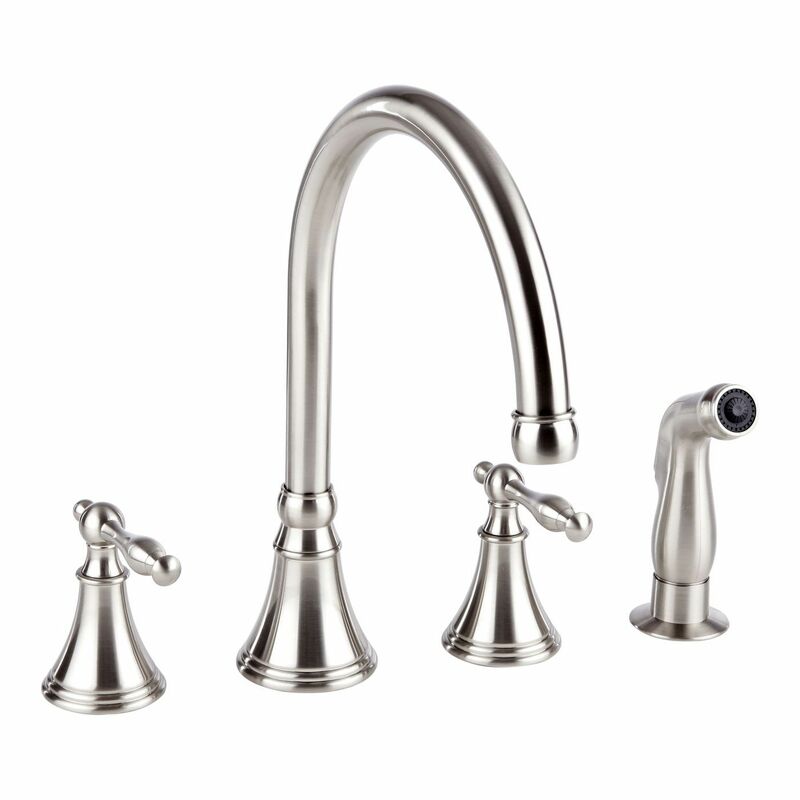 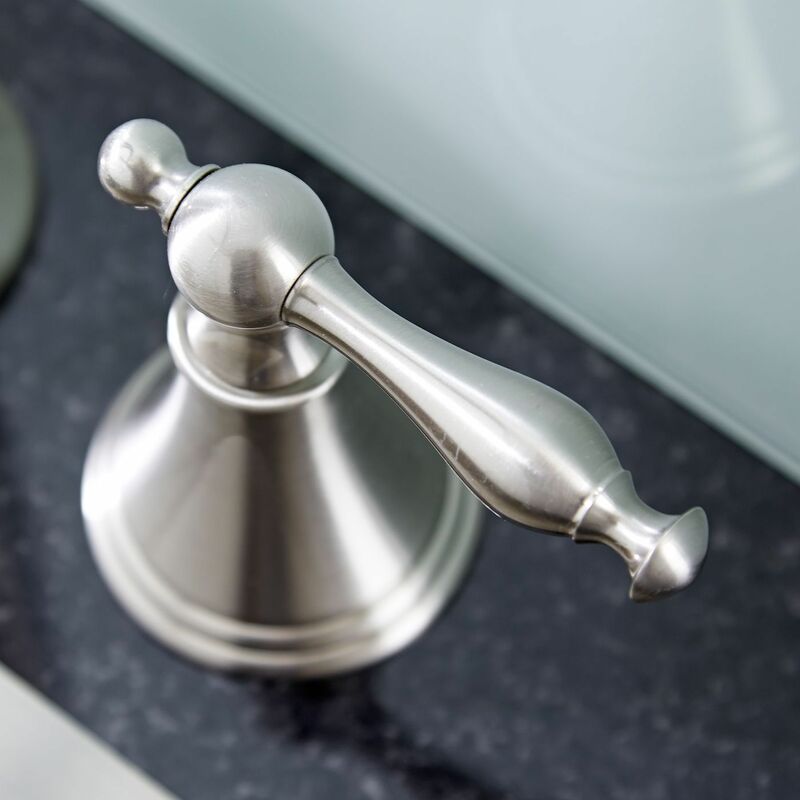 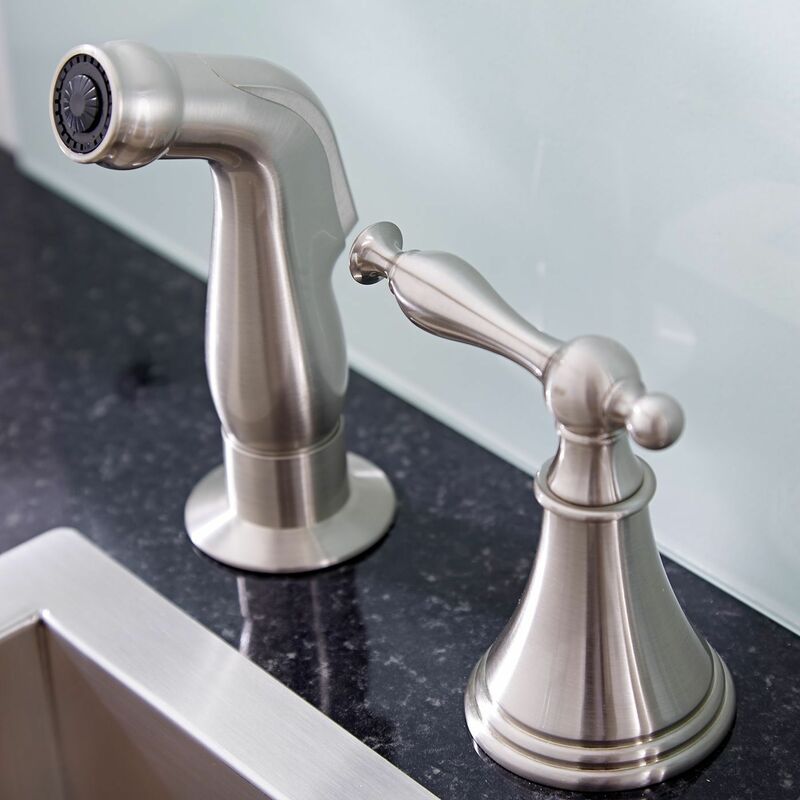 Featuring a timeless and elegant design, the Hudson Reed widespread kitchen faucet with side spray is sure to enhance any traditional kitchen. 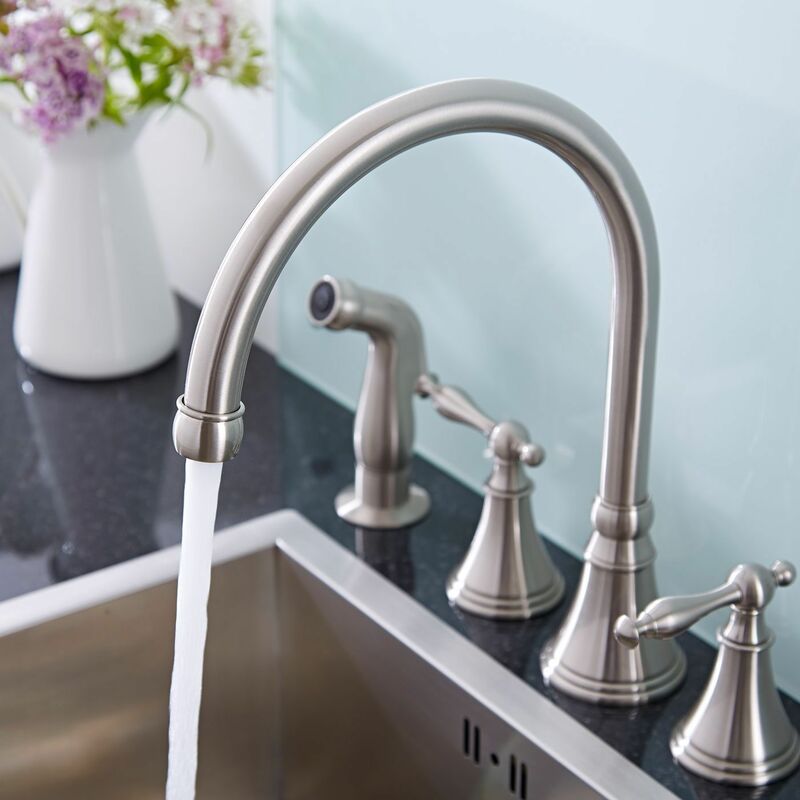 Made from stainless steel with a durable brushed nickel finish, this kitchen faucet combines attractive looks with functionality. 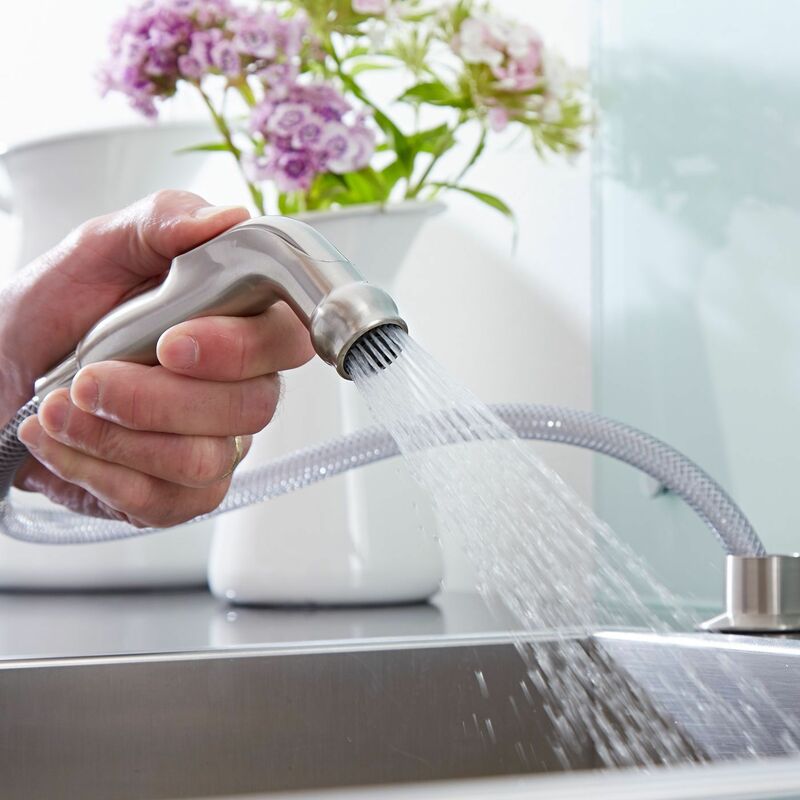 The widespread kitchen faucet has easy to use lever handles and a useful pull out side spray so you can rinse pots and pans with ease. 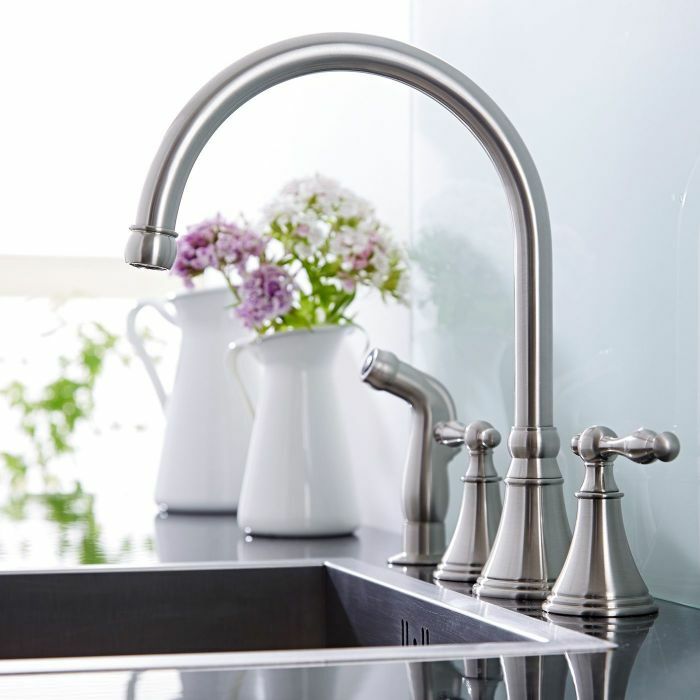 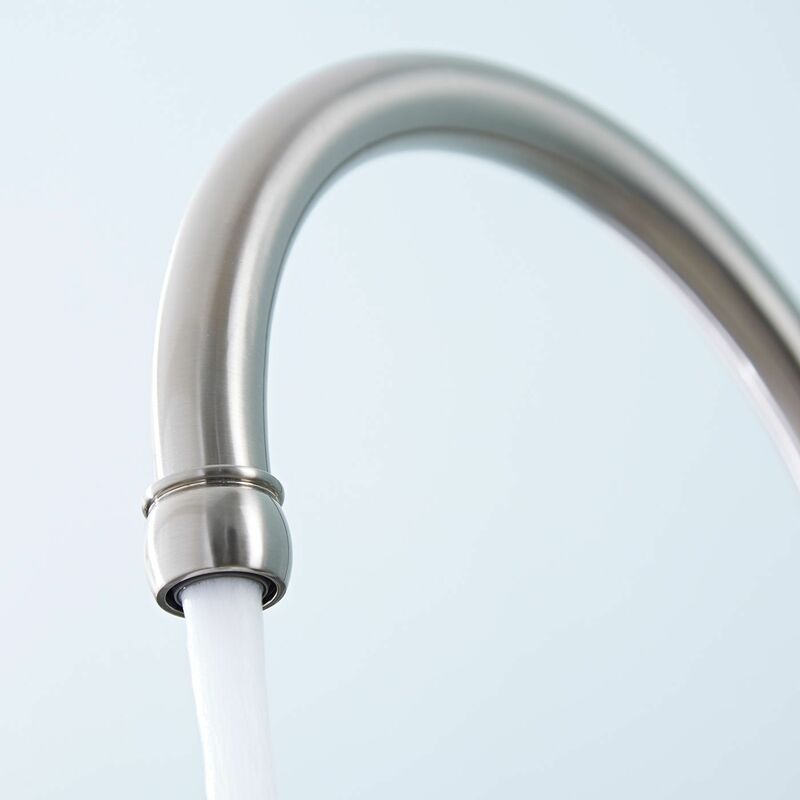 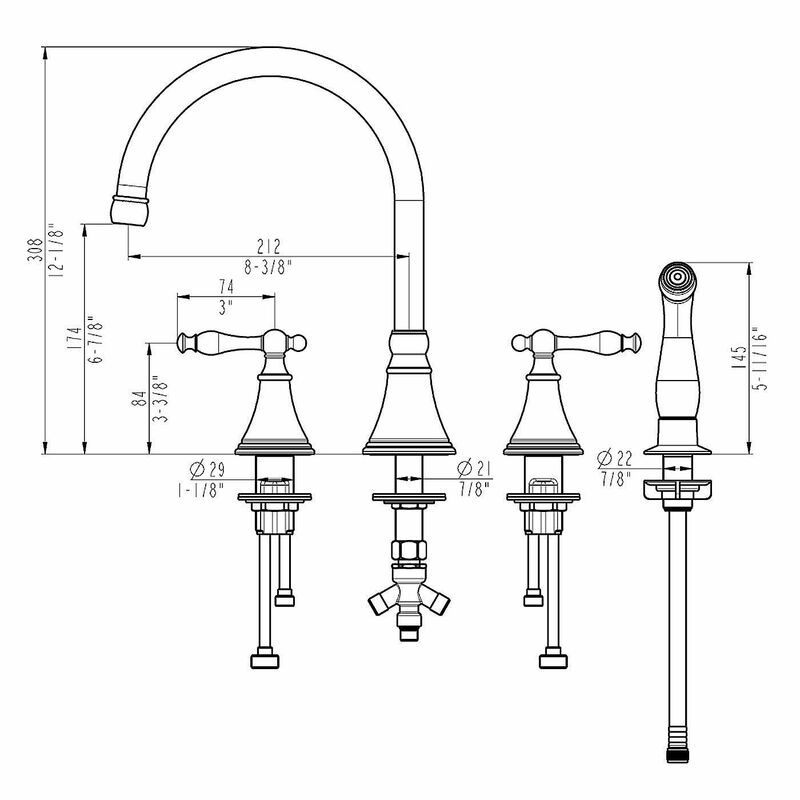 What's more, this faucet incorporates ceramic disc technology for smooth action and no drips.